There is always a life cycle for a technology product, and air purifier is not an exception. The Honeywell AirGenius 3 HFD300 is a great start for a life cycle of Honeywell tower air purifiers, but it is old, too. Though Breathe Quality is a little bit late to start a review for the HFD Models of Honeywell, our Honeywell AirGenius 3 HFD300 Review is still the perfect choice for every air purifier enthusiasts. As a big air purifier corporation in the world, Honeywell has released more than 30 specific air purifiers, with two biggest lines of products – the HPA Model and HFD Model. If the HPA Model is typically powerful with great True HEPA filter, especially featured in Honeywell HPA600B – latest flagship of this brand, the HFD Model emphasizes more in the appearance. However, that doesn’t mean there is no “new” technology in this Honeywell AirGenius 3 HFD300. Well, let’s find out in our Honeywell AirGenius 3 HFD300 Review. Honeywell AirGenius 3 HFD300 is the development of the Honeywell HFD-010, which is also a really old model in 2019. It can only be bought from back ordered in the original website of Honeywell, with around $179, which is a big drop from the original $240 tag. For the current price, Honeywell AirGenius 3 HFD300 is facing lots of potential opponents, from both inside and outside of Honeywell brand. The Honeywell HPA030B is a good option to replace the Honeywell AirGenius 3 HFD300, also with a cut of $50 in price tag, while the Honeywell HPA200 is still a viable option for better CADR rating and fan power. If you look further, the best alternatives could be a GermGuardian CDAP4500BCA, with a better price and a good Wifi connectivity function; or the Blueair Classic 203 Slim is a powerhouse for great air filter from one of the best air purifier manufacturers in the world. However, if you really want this Honeywell AirGenius 3 HFD300, we will give you a rare deal to buy it. At the moment, this is the best deal you could get, with nearly half the original price tag. 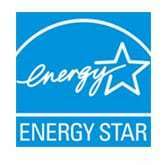 Honeywell HFD300 – Honeywell AirGenius 3 Air Cleaner/Odor Reducer, White Edition (with Energy Star qualified). 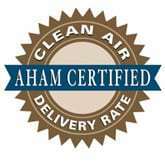 Recommended for large rooms, 250 sq ft. 3 air cleaning levels: Sleep, General Clean, Max for the best performance. Perfect 60% OFF from the original price tag. Honeywell has made all the right moves in some respects. When the trend of tower air purifier is increasing, thanks to Guardian Technologies with their series of tower air purifiers, Honeywell has answered with the series of HFD Models. Though the Honeywell HFD-120-Q was belittled by a cheap air grill and hard-to-push button, the Honeywell AirGenius 3 HFD300 isn’t. The color is painted as plain black or white, for attractive feelings. Also, this Honeywell AirGenius 3 HFD300 still remains the same back-to-front air flow concept from other tower air purifiers. Which means you will have a good-looking air outlet grill from the front, and a huge air intake grill from the back. The only tower air purifier which comes with a different concept is the Honeywell HPA160, which is not a big success of this brand. As usual, on top of this Honeywell AirGenius 3 HFD300, you will have a manual controller to change the fan speed, or to check the filter replacement indicator of your air purifier. With 27 inches in height, Honeywell AirGenius 3 HFD300 is not a heavy air purifier, too. The weight is about 13 lbs, and is quite similar to other tower devices from this brand. Using the same air filter as the previous HFD-120-Q, Honeywell AirGenius 3 HFD300 features the unique ifD air filters (only from the HFD Models of Honeywell) and a 2-stage air cleaning system as below. Pre-filter – Not like the HPA Models of Honeywell, like HPA100, HPA200 or HPA300, Honeywell AirGenius 3 HFD300 only uses a normal pre-filter. This pre-filter can capture larger particles before they enter the ifD filter. Also, the pre-filter is washable, and therefore, permanent. ifD filter – The Honeywell AirGenius 3 HFD300 uses an unique ifD filter to capture up to 99.9% of down to 0.3 microns contaminant particles like pet dander, mold, viruses, bacteria and pollen. This air filter adds an Activated Carbon filter to help deodorize the air and reduce the odors. Not like the typical True HEPA filter, Honeywell AirGenius 3 HFD300 makes use of the ifD filter, which stands for Intense Field Dielectric. This air filter is a breakthrough, permanent filtration method that is highly effective against all types of airborne particles which are larger than 0.3 microns. It works when a high voltage source actively charges the filter and forces particles to be captured in the physical layer of filtration. The performance of this Honeywell AirGenius 3 HFD300 is especially better than the predecessors like Honeywell HFD-010 and Honeywell HFD-120-Q. Putting all three air purifier in a room of 150 sq ft for 1 hour, I saw the difference much easier. The Honeywell AirGenius 3 HFD300 has a decent efficiency of 90%, while the HFD-120-Q is only 87% and HFD-010 is 78%. If you can run this air purifier for like 8 hours per day, the efficiency can reach as high as 99.9%, for any particles that are 0.3 microns and larger. However, due to the core nature of this air filter is just an ionic air filter, it can produce a trace amounts of ozone, and therefore can irritate asthma or other breathing issues. If you have these breathing problems, you should not buy this air purifier, because Honeywell AirGenius 3 HFD300 doesn’t have any on/off button for ionic feature. The ifD filter, which named HRF-K2 is one of the most affordable filters of Honeywell, with only $17 in price tag. That is reasonable because the filter is not a True HEPA filter with complicated mechanism. Moreover, the HRF-K2 air filter is permanent to use, because it is washable. If you are using Honeywell AirGenius 3 HFD300, you can use the filter for the whole life without thinking. Just like Guardian Technologies, the tower air purifiers of Honeywell are not good for their fan powers. Honeywell AirGenius 3 HFD300 can only deliver clean air efficiently in a room of 225 sq ft. The ACH of Honeywell AirGenius 3 HFD300 is 5x. The Honeywell AirGenius 3 HFD300 can clean your room every 12 minutes. The CADR of Honeywell AirGenius 3 HFD300 is 150 Dust/ 146 Smoke/ 160 Pollen (cfm). Though the CADR rating is not as good as the HPA200, it is still better than the Honeywell HPA160 in the same price range. To clean a room of 225 sq ft, Honeywell AirGenius 3 HFD300 is efficient. There is one advantage for not having True HEPA filter in your air purifier – the silence of its fan. It’s really difficult for a good True HEPA air purifier to deliver a quiet noise level. Luckily, thanks to the ifD air filter, Honeywell AirGenius 3 HFD300 (and others in HFD Models) is really quiet. With only 3 fan speeds, the Honeywell AirGenius 3 HFD300 is a must-have air purifier in any quiet places, such as your office or bedroom. 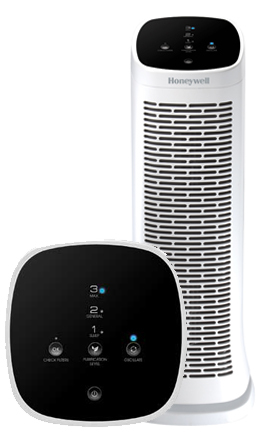 Honeywell is notable for high power-consuming air purifiers, like Honeywell HPA300, however it is not the case of the Honeywell AirGenius 3 HFD300. That being said, the Honeywell AirGenius 3 HFD300 maximum power consumption is only 38W, which is quite similar to the Best Seller in 2019 – Levoit LV-H132. It is a good compliment for the low energy consumption of your Honeywell AirGenius 3 HFD300. For using a Honeywell AirGenius 3 HFD300 8 hours per day, it would cost you up to $14 per year. Honeywell AirGenius 3 HFD300 is just a classic and old air purifier. You will have an oscillation function button, which is for moving the air forth and back. However, there is on common functions as Timer or Auto Dimmer setting as featured in the Honeywell HPA Models, like HPA200 or HPA300. For these settings, you need to upgrade to the Honeywell HFD310 or HFD320 (which is AirGenius 4 or 5). As a typical air purifier, you will still have a LED indicator for filter replacement in this Honeywell AirGenius 3 HFD300. If you are looking for a Smart flagship air purifier of Honeywell, you can also look for Honeywell HPA 600B. Honeywell AirGenius 3 HFD300 is not a smart choice for your home in 2019, especially when the GermGuardian CDAP4500BCA is offering better smart features with only $149. Also, the ifD air filter can emit ozone and therefore, we don’t recommend this air purifier if you have asthma or other breathing conditions. Should I buy Honeywell AirGenius 3? No, you should choose the Honeywell HPA030B or Honeywell HPA100 instead. If you have serious allergies or asthma to airborne pollutants: the Honeywell AirGenius 3 has an ifD air filter, which is not as good as the True HEPA filter. If you need an air purifier with a better room coverage: you can choose the SilverOnyx, Alen Paralda or Alen T500 with manufacturer’s suggested room size of 500 sq ft. If you need a budget version of this air purifier: you can choose the Honeywell HFD-010. If you need a more silent air purifier: you should get the Levoit LV-H132, Blue Pure 411 or AeraMax 100 instead. If you care about the annual filter cost and energy cost: the Honeywell AirGenius 3 has the most affordable air filter for the price. If you love the additional features: you should look for the GermGuardian CDAP4500BCA for both Smart Sensor and Smart Wifi capability. If you only need the Smart Sensor, you can choose one between the AeraMax 200, Winix C535, Winix 5300-2 and Winix 5500-2. 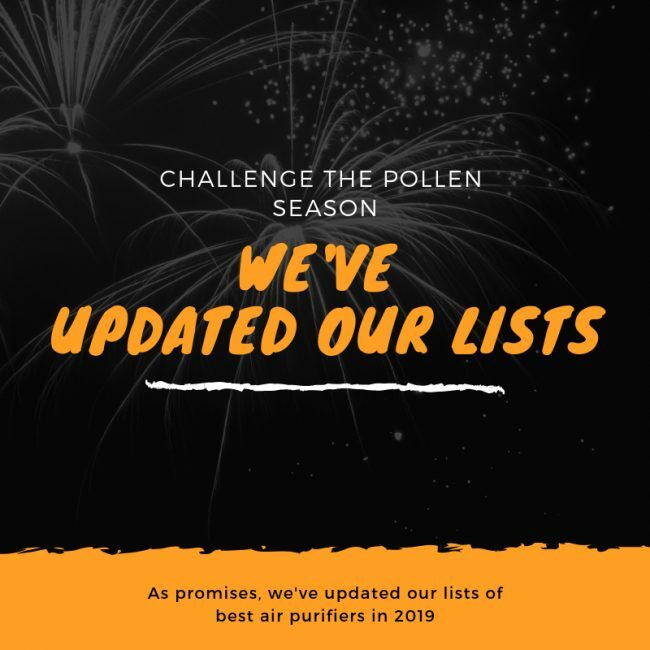 This is not the best Honeywell air purifier so far, especially after the release of better True HEPA air purifiers, for example the Honeywell flagship – the Honeywell HPA600B.